It is summer… hot and most of us spend more time in our bathing suits and short shorts than anything else. Summer is a time that we want to eat a bit lighter and fresher. Luckily, it is not hard to do. Just take a stroll through your local farmer’s market or even grocery store and there is fresh food abound! I had some chicken breasts defrosting this morning, and I was trying to think of a different way to cook them. I was sitting outside watching the girls play and reading magazines. I saw a chicken recipe in a Cooking Light Magazine that seemed intriguing. It was a spread on different kinds of summer skewers; they all looked delicious. One caught my eye…chicken, veggies, (tomatoes and peppers) and lemon skewers served with a side of herb dipping sauce. Eureka! 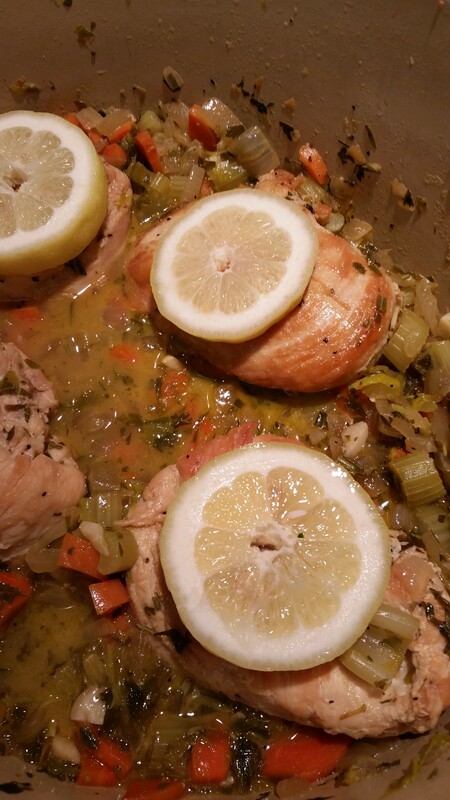 I used this idea for my Lemon and Herb Chicken. 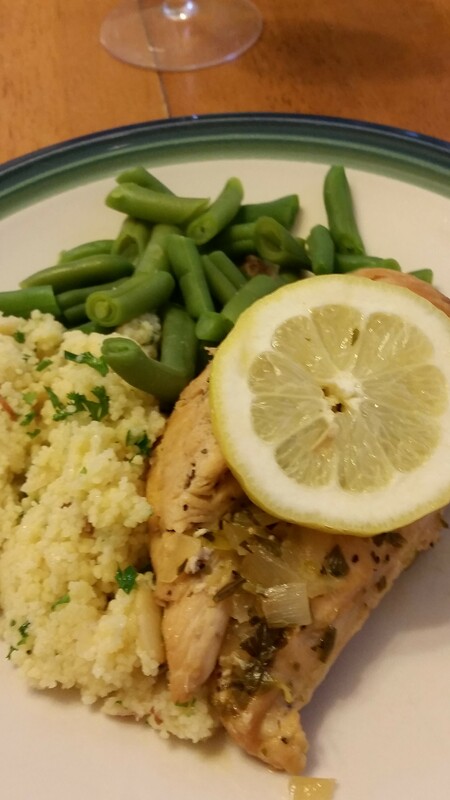 I served it with a side of green beans and a lemon couscous with parsley and almonds. So good!!!! 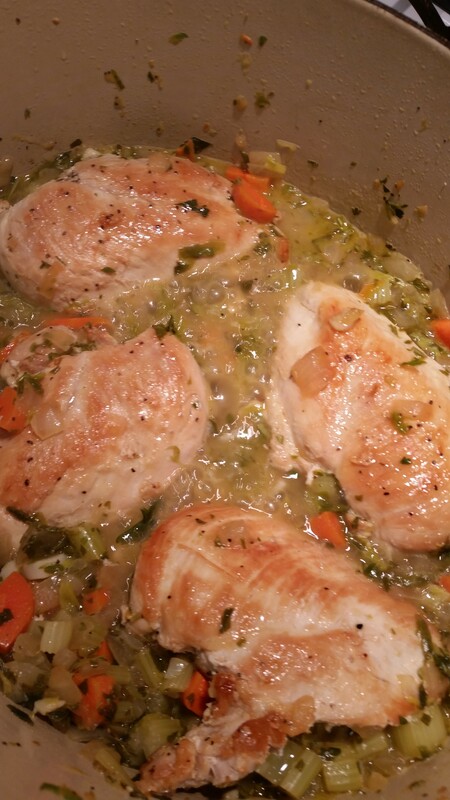 4-6 pieces of chicken- I used chicken breasts; they were on sale this past week. Use any cut you have on hand or that you like. Chicken thighs, and legs are a favorite in this family. I always try to find what is most affordable, though. 3 celery stalks, chopped- never throw out those beautiful leaves. I chop them up with the rest of the stalk. 3 lemons- 2 for the juice and zest. 1 sliced and put on top of chicken pieces. Salt and pepper your chicken. Heat a pan with a bit of olive oil on the bottom- about 2 tablespoons. Brown each side of your chicken. Depending on the kind and size of chicken you use depends on the time. 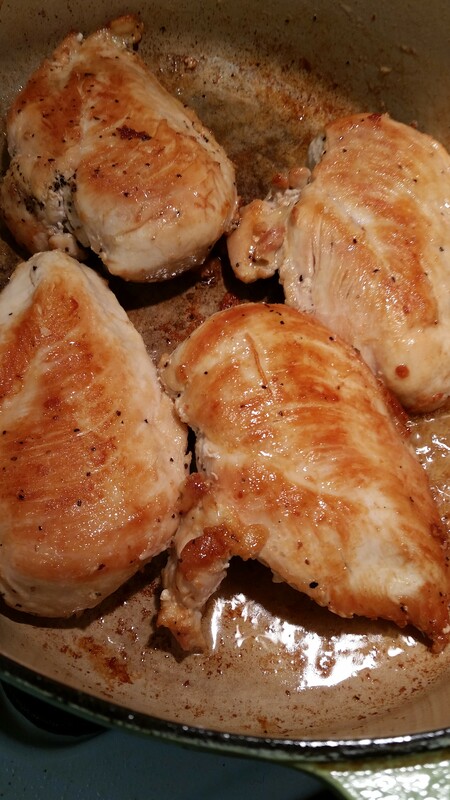 For my chicken breasts, each side browned up in about 4 minutes on each side. Take out the chicken and add in a bit more oil. Add in your veggies. Add seasoning. Cook for 15 minutes or so. Add your wine. Cook down for 6 minutes or so. Add your lemon zest and juice. Add your herbs. Add your chicken back in. Add a lemon slice on each chicken. Cook for another 15 minutes or so, depending on the size and kind of your chicken. Thicker cuts and dark meat will take longer. I slice in to the bottom to make sure they are cooked through. 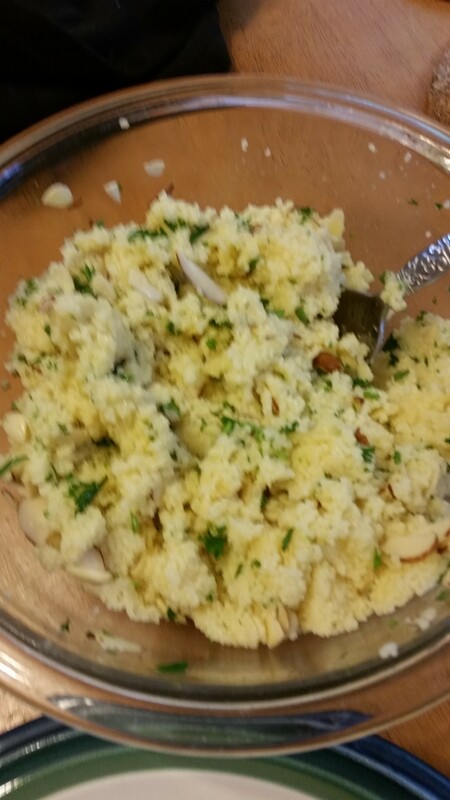 I have started to buy plain couscous. You can add your own flavors and be creative. Until you get the feel for the amount of liquid to use, follow the directions on the container. Instead of water, I used 2 juiced lemons, lemon zest, and chicken stock. So much more flavorful! 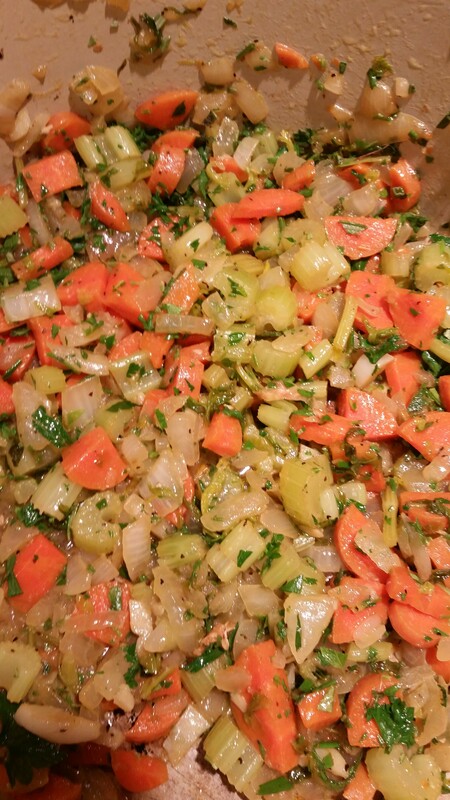 At the end, I mix in the rest of my chopped herbs and a couple of handfuls of sliced almonds. My girls LOVE almonds! You could sub slivered almonds, pine nuts, etc.